How does BigChange Advisory Plus help our customers reach their goals? Leeds, UK, 25th February 2019 – At BigChange, we’re always looking to provide better and more comprehensive services for our customers. We feel that by providing the best product for your business we can simplify operations, and remove the hassle of excess paperwork, to help you do your job more efficiently. In our quest to meet the needs for advanced business advisory solutions, BigChange recently acquired Labyrinth Logistics Consulting Limited and their highly capable staff. With Labyrinth’s history of customer success, innovative solutions and pragmatic approaches to complicated problems, we are thrilled to integrate their best practices into how we help our customers reach their collective goals. To help our customers and the service sector understand how this acquisition will enable BigChange to better support customers’ needs, we recently sat down with Jo Godsmark & Ruth Waring. 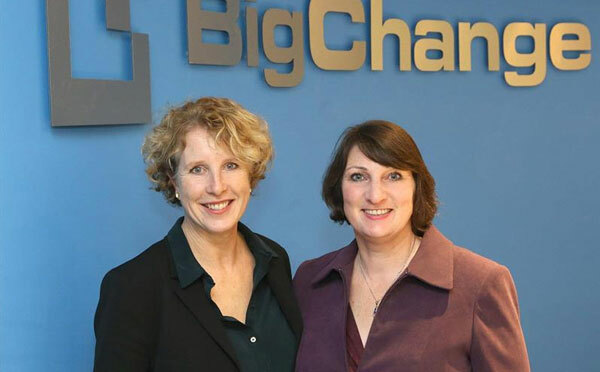 Ruth and Jo are Directors of the BigChange Advisory Plus unit. BigChange: Could you tell us a little bit about your background, industry experience and previous accomplishments? Ruth Waring: I have 30 years’ experience working in different roles within the transport industry specialising in UK road freight as well as the logistics and transport community. In 2008 I set up the voluntary organisation Women in Logistics UK which is a point of personal pride. I was honoured to be recognised from 2016 to 2018 as a member of the “Logistics 100” top influencers in the Logistics Industry, winning the overall “Top Influencer” award in September 2018. Before BigChange’s acquisition, I had spent the previous 17 years at Labyrinth directing all aspects of transport cost management, transport compliance and Health & Safety for the organisation. Along with Jo [Godsmark] and our Labyrinth colleagues we developed SilkThread®, a compliance audit tool with evidence hosted in the cloud. SilkThread® is being rebranded as BigChange Audit and is available to BigChange customers to help them manage compliance. Jo Godsmark: I started my career in manufacturing engineering, at Ford and Mars, culminating in the build of a greenfield sugar factory in the Czech Republic, before moving into supply chain design and logistics procurement at Mars. For ten years I was privileged to head up Labyrinth’s Supply Chain division. In this role I was responsible for, building up a strong base of clients across a wide range of sectors including the aviation, industrial, food, construction and charity logistics sectors. I was voted a member of member of the “SHD Logistics 100” top influencers in the Logistics Industry, in 2018. 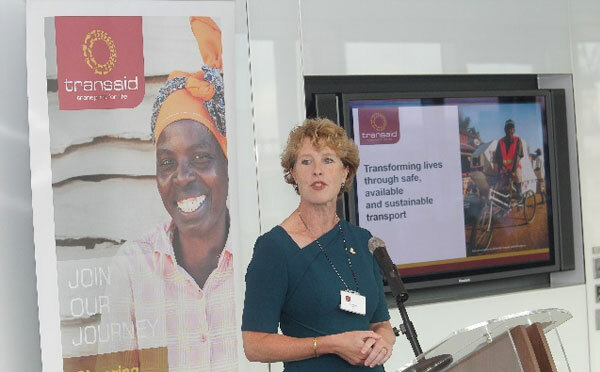 In my philanthropic work I am the chair of Transaid, the international development organisation working on transport solutions in Africa. BigChange is one of Transaid’s corporate members and I am delighted to be able to continue this role with BigChange’s support. I am also the Chair of the Chartered Institute of Logistics and Transport’s Outsourcing and Procurement Forum, looking at best practice related to outsourced logistics, initiating research and promoting networking and discussion in this area. I am currently co-authoring a book on logistics outsourcing, using insights from this group. BigChange: What will your role will entail at BigChange? 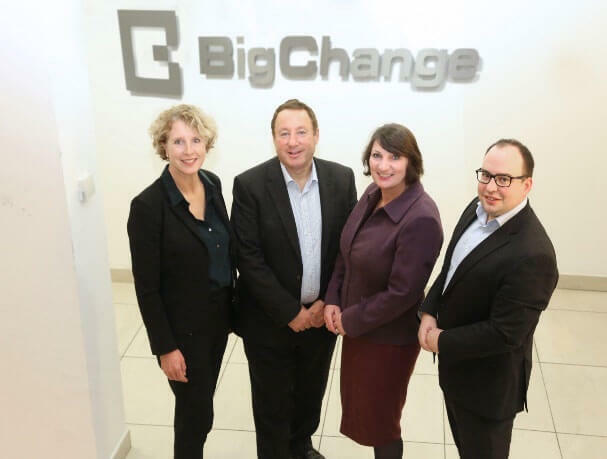 Ruth Waring: As Director of BigChange Advisory Plus my role will be to combine the three stands of expertise: Transport industry intelligence, BigChange Audit and JobWatch functionality to provide a one stop shop for the logistics industry. My role will involve business development as well as managing the team. Jo Godsmark: My role at BigChange is Director of Advisory Plus, the new consultancy arm of BigChange. Together with Ruth Waring I will be building this new service within BigChange to support both existing BigChange customers and new customers. My particular focus will be on supporting customers with strategic reviews and business change. We will also be using JobWatch data to target efficiency improvements and support transport modelling. BigChange: How does BigChange’s acquisition of Labyrinth’s tangibly help customers? Ruth Waring: It is a fantastic synergy; we already had meetings with a number of our customers and it is clear that there is massive potential for cross-selling and benefits for all. In practice, I view BigChange’s acquisition as a real meeting of minds, bringing our expertise to a market segment that BigChange had, until recently, not actively pursued. In bringing Labyrinth’s experience with industry-leading, blue chips and our truly hands-on approach to providing practical solutions combined with our real-world understanding of the logistics industry, I think we can significantly expand the services BigChange provides, particularly in the area of compliance and risk management. Jo Godsmark: BigChange’s acquisition of Labyrinth tangibly helps its customers by offering them broader business support to help them transform business performance. For JobWatch customers we can use data in the system to pinpoint improvement opportunities. However, unlike other BigChange support services, the Advisory Plus team can also tackle business strategy outside the scope of JobWatch. This might unlock the savings potential from JobWatch, but will also deliver savings unrelated to the product. BigChange: Why are you excited to work at BigChange? Ruth Waring: Working with Martin and the team is a bit of a rollercoaster at the moment but we are loving it. Additionally by offering this new service (Business Advisory Plus) BigChange are able to work more strategically with their client base and unlock barriers to achieving greater improvement. We are also able to take insight from our consultancy to relentlessly improve the product, which in itself is a really exciting prospect considering the high quality stature the BigChange platform already stands in. Jo Godsmark: I’m excited to be joining the BigChange team and to be part of such a dynamic and industry disruptive team. I hope that I can play a role in transforming how BigChange’s operational data is used to inform and target business performance improvements through insights gained through our strategy work. Martin’s vision and drive to achieve that vision is inspiring and I’m delighted to be part of BigChange’s journey.